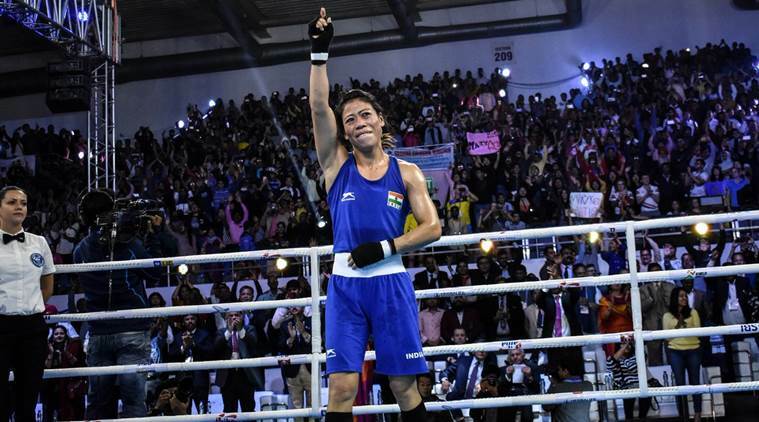 Mary Kom struck her record 6th gold medal at the World Boxing Championships as she defeated Ukraine’s Hanna Okhota via a 5-0 unanimous decision on Saturday. In doing so, the Manipur boxer became the joint most successful boxer (Men and Women) in the history of World Championships, tied with the Cuban legend Felix Savon, who had also won six gold medals at the World Championships. It is Kom’s 7th medal overall in the tournament – 6 gold and 1 silver. It was an easy bout for the 35-year-old boxer as she beat her opponent in the 48 kg category without breaking a sweat. After the record win, a teary-eyed Kom expressed her gratitude to fans and said that she hopes to win the gold at Tokyo 2020 Olympics for the country. “First of all, I would like to thank, all my friends. They came to see the final. They came especially for me, to cheer for me, and all of us in the contingent,” she said. “Thank you for your love and support. I don’t have anything to give you, except for a gold medal for the country. I still hope to win the gold medal for India in Tokyo 2020,” she said. The Manipuri boxer, now a mother of three, won a silver in the inaugural edition in 2001, and then went on to win a medal in the next five consecutive editions – 2002, 2005, 2006, 2008 (silver) and 2010.